Nothing powers a car quite like Hellcat Motor Oil! 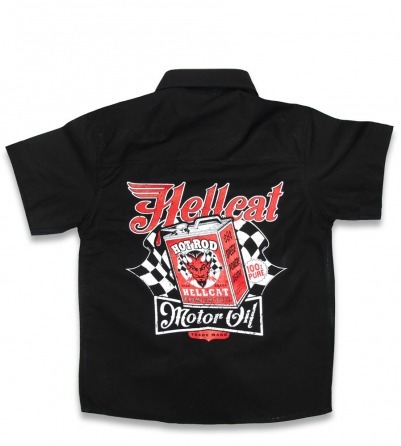 Dress your little one up in his vintage finest with this rockabilly kid's work shirt with button closure. This kid's fashion piece pairs perfectly with long-sleeved undershirts or throw a rockabilly tee over-top for a perfectly collared layered look.